How is it that they know what they want? Sarah Chenoweth grew up in the heartland. She studied English Education and music at Illinois State University and earned an MFA in Dance Performance from the University of Iowa. Following her graduate work, Sarah taught modern and dance history as an adjunct professor at Illinois State University. She has been featured in work by Alexandra Beller, and in Trisha Brown repertory restaged by former company member, Melinda Myers. She has performed in original works by Mo Miner, Jennifer Kayle, Amy Lynne Barr, Kevin Shroeder, Charlotte Adams, Sara Semonis and Armando Duarte. Most recently, Sarah co-founded the Mid to West Dance Collective and has begun performing with Nina Haft & Co. and Rogelio Lopez. She writes about dance improvisation and new dance works. 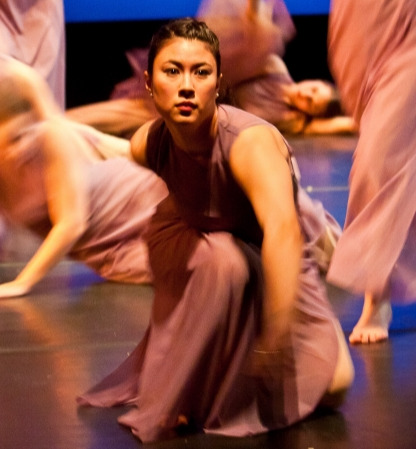 Melanie grew up in Massachusetts dancing with Dance Prism under the direction of Mary Demaso. She graduated from Goucher College with degrees in Psychology and Dance with a concentration in dance/ movement therapy. She has had the privilege of performing works by numerous artists including George Balanchine, Doris Humphrey, Jessica Lang, Elizabeth Ahearn, Linda Garofalo, and Christopher Fleming. Melanie attended the Bates Dance Festival in 2012 where she studied with Claudia Lavista and Omar Carrum of Delfos Danza Contemporánea. Melanie now lives in San Francisco where she works as a behavior therapist and nanny. Rose Huey is an Oakland native. She grew up dancing at Destiny Arts Center and performed throughout the community as a member of Destiny’s youth performance company. Rose attended Macalester College in Saint Paul, Minnesota where she directed the student run hip hop dance group and received a degree in History and American Studies. In 2011 Rose began her professional dance career in Minneapolis as a member of the contemporary Indian Dance company, Ananya Dance Theatre, touring both nationally and internationally. 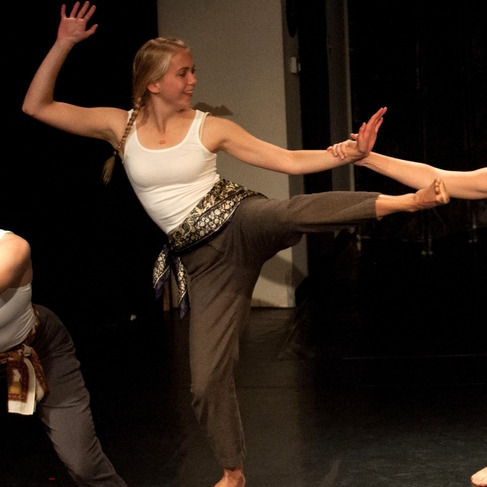 Currently, Rose is also a member of Mix'd Ingrdts and Sarah Bush Dance Project. She is thrilled to be dancing with such beautiful women as part of Everything All At Once. Megan is a Minnesota native. She graduated from Goucher College, where she studied language, dance, and the intersections between the two. She also had the fantastic opportunity to perform works by Elizabeth Ahearn, Amy Siewert, Nicolo Fonte, Pascal Rioult, and George Balanchine. Here in the Bay Area, she has performed with Garrett & Moulton Productions and Danse Lumiere.